I watched Discovery's Surviving the Cut again the other day. The episode was about Special Forces Divers. This elite force invites strong elite military officers to start with, and puts them through brutal aquatic training. The boat bay at the Genesee Waterways Center was already warm and muggy before it started to fill with USRowing and Rochester city representatives. Traveling with kids, and staying sane! August is when many families pack up and head off - whether it’s a planned trip far away or just a day at the beach, pool or water park - anything to keep kids and tempers cool. I used to burden myself with the notion that I must teach my children all things. I am, after all, homeschooling mother. The bigger the challenge, bring it on! That was back when I was schooling two children and having babies and what not. I found out that I can’t legally teach everything, (hello, driver’s ed! ), and I physically can’t teacher other things, not the least of which is swimming! LeBron: "You Got a Brother on the Team?" 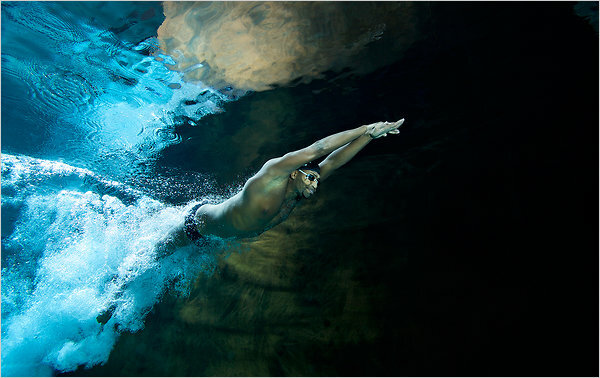 Cullen Jones recounts a funny 2008 Olympic story in a recent article in the NY Times. Memories of Mr. Bernklau’s fifth grade class. I had an unusual challenge at the aforementioned family reunion. We had a formal banquet on Saturday evening. That in and of itself was not unusual; I'm sure many families do the same. But after traveling 15 hours to get there, living out of a suitcase, and taking two young children who EXPECTED to use the pool? I worried just a touch about that formal evening. My story about a friend's experience at the beach sent chills through my daughter, and she questioned whether she really wanted to be a lifeguard. But she went through the training anyway, and my daughter was a lifeguard for 2 years at the Y. Now she's moved onto a different phase in her life, involving glamor and beauty. 16 days. But who’s counting? Discovery Channel's show, Surviving the Cut makes you wonder what you thought you were doing in the pool. The show follows wannabe elite naval forces through intense training, including swimming in 45 degree water at night. In a recent episode, we watched a black man, Guy Smith swim over a mile in 45 degree water with an injured leg. The group of SWCC candidates started out with 40 and ended up with 10 men over the course of 50 days of grueling basic training. While in Detroit this past weekend I took some down time to check out the Motown Museum- Hitsville, USA!! As I was learning more about Mr. Gordy, how he inspired artists and built the Motown empire I couldn't help but see the correlation in mentoring, teaching, coaching and building a team. I think this quote speaks to the idea of helping provide the tools for children to maximize their potential and reach for greatness in any endeavor. You can call me Rhino. Every day for four years now I have gotten up and worked towards ending childhood drowning. Here's the latest information to share with rowers to see if they would like to participate in the inaugural US Rowing Diversity Invitational being held and hosted here in Rochester. We are working hard with US Rowing to put this historic regatta on - it is potentially a really big deal in that US Rowing is backing this and talking about helping to grow it year on year on year and having it in Rochester each year. It does seem like a stretch for Food Network to combine Survivor and Chopped, but hey, why not? I was happy to give it a try. When I tuned in, three chefs had to swim out to a spot in the cold body of water, catch a fish, (which had already been trapped for them), and then get in a boat and row back to a cooking station.